Start Fast. Fail Fast. Repeat. Have you ever failed in aiming your goals or your dreams? Haven't you heard that failure is a crucial ingredient for success? All successes are unique and cannot be simply copied, but failures teach you what to avoid on the way to success. 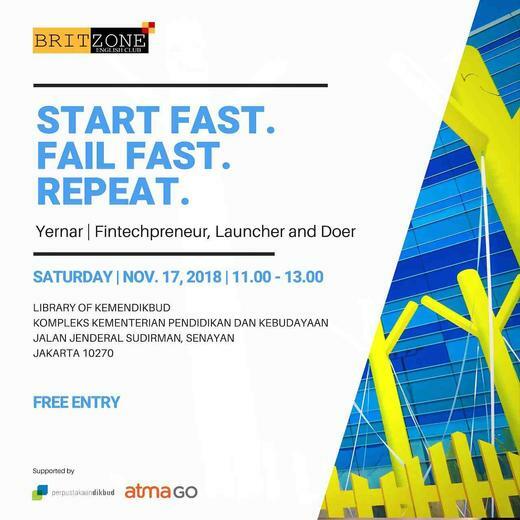 Therefore let's join Britzone Class this Saturday and share your story of failure and how you face it. We share our stories and inspire others of how we could embrace failures into our success journey or on progress to reach our goals.